As this is my first post in the trend section of my blog let my explain a little, the trend posts are basically me using and editing photos (learn more about these in the about page) to create trend moodboards and colour stories for seasons. I make them to help inspire and be enjoyed by both myself and others. 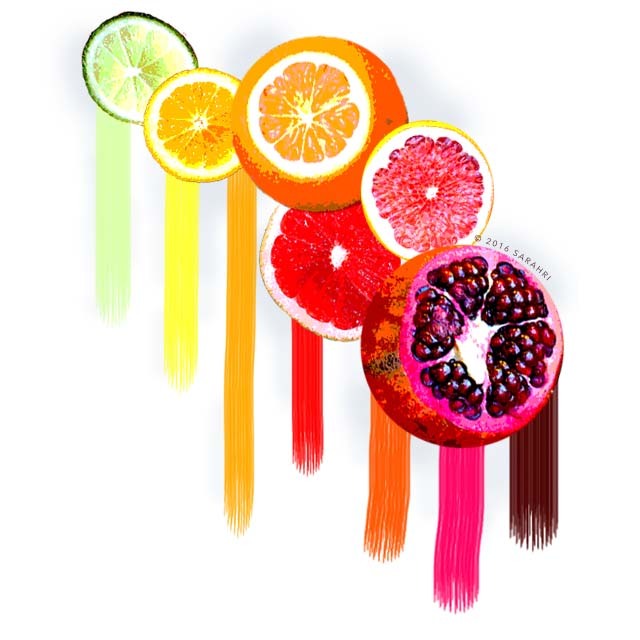 A trend based on the bright, warm, zesty colours of some of the more summery fruits. Feel energised in zesty greens and yellows then also lounge in the colours of the sunset featuring warm, tangy oranges, reds and pinks. Wear curved, soft pieces of clothing inspired by the outer fruit structure while letting the inner structure inspire prints and patterns; delicate, small circular patterns in repetition, creating beautifully detailed segments of pattern. Thanks for reading, hope I brought a little bit of inspiration to your day! Remember to follow me so you can keep up to date with me. © 2016 SARAHRI (Sarah Rachael Irving). Powered by Blogger.